gives measurements associated with the property prop when predictor is evaluated on testset. gives properties prop1, prop2, etc. yields a PredictorMeasurementsObject[…] that can be applied to any property. 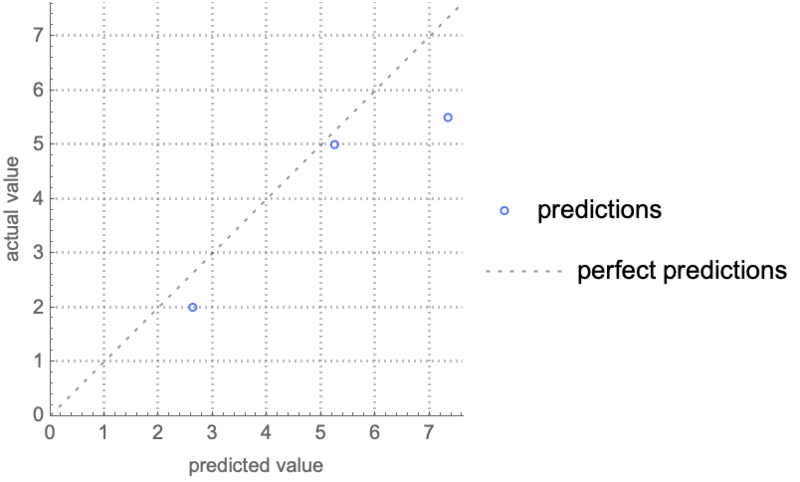 The predictor is typically a PredictorFunction object as generated by Predict. PredictorMeasurements[…,opts] specifies that the predictor should use the options opts when applied to the test set. Possible options are as given in PredictorFunction. PredictorMeasurementsObject[…][prop] can be used to look up prop from a PredictorMeasurementsObject. When repeated property lookups are required, this is typically more efficient. PredictorMeasurementsObject[…][prop,opts] specifies that the predictor should use the options opts when applied to the test set. It supersedes options given to PredictorMeasurements. 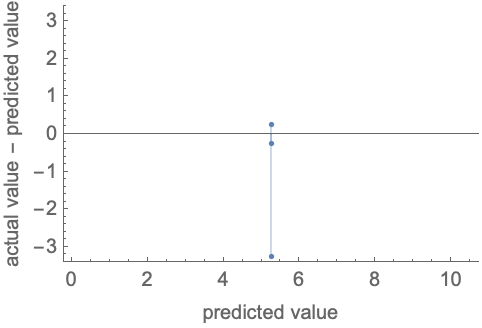 When ComputeUncertaintyTrue, numerical measures will be returned as Around[result,err], where err represents the standard error (corresponding to a 68% confidence interval) associated with measure result. Changing the weight of a test example from 1 to 2 is equivalent to duplicating the example. Weights affect measures as well as their uncertainties. Test examples classified as Indeterminate will be discarded when measuring properties related to prediction abilities on the test set, such as "StandardDeviation" or "MeanCrossEntropy". Examples are given in the form inputivaluei, where valuei is the actual value. Properties such as "WorstPredictedExamples" or "MostCertainExamples" output up to 10 examples. PredictorMeasurementsObject[…][propn] can be used to output n examples.